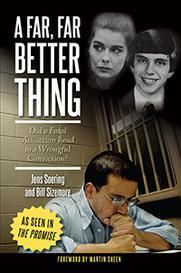 Lynchburg, VA - We are learning more about the sworn statement from a local man who says he saw something in 1985 that is crucial to the Jens Soering murder case. ABC 13 has obtained the videotaped interview Tony Buchanan did with Soering's attorneys. In 1985, Buchanan of Lynchburg says he had a car towed to his shop ACS Transmissions on Route 460 which is now Clark's Automotive. The inside of the vehicle was full of dried blood, and he says he also saw a knife. Buchanan says two college age kids, a woman and a man, later came to claim it. He later saw Elizabeth Haysom's mug shot in the paper. But he says the man's mug shot wasn't the man he saw that day. The man he saw was tall, with a highlight in his hair. "My feeling on it is the guy who was with the car had something to do with the murder. The guy who was with the car definitely was not Soering," Buchanan said. As to why he didn't come forward sooner, Tony Buchanan says he did contact one of Soering's attorneys who was appealing the case about a year later. But he never heard back. Soering hopes this new witness will put the Governor over the top and grant him parole so he can go back to Germany. Noreen Turyn interviewed him at the Buckingham Correctional Institute Thursday. He did initially admitting to the crime at the time, but Soering says this witness corroborates what he's been saying ever since, about what really happened. "The theory officially was that I committed this crime by myself. And it's always been my position since the late 1980s that Elizabeth with an accomplice other than myself was at the crime scene. And this witness's testimony strongly supports my theory in the case. 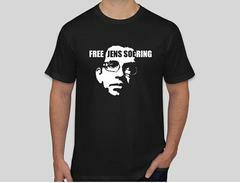 We now actually have a face and a person who goes with my theory," Soering said. Soering also says the knife- the murder weapon- was never found- and the bloody footprint on the floormat strongly support his position. His attorney says the governor is considering all the new information but there's no word on when he'll act. Stay with WSET for more from Soering in the coming days.